SBA continues to lead the way in NCCP coach development and mentoring for the Ottawa region. The winter/spring season has seen twelve (12) of our SBA members completing NCCP courses in their journey of becoming fully certified NCCP Regional coaches. 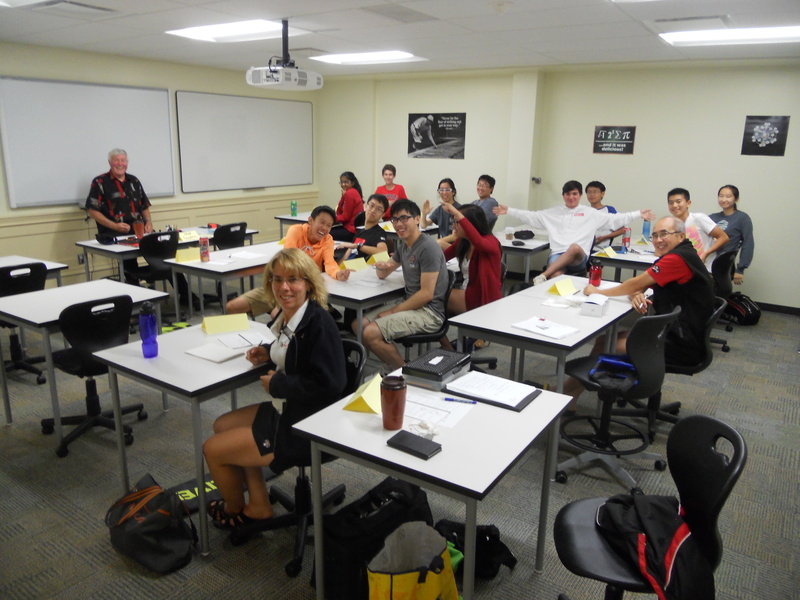 Course facilitators included Janet Hugli (SBA) and Kevin Willington (OWBC). 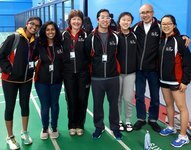 The Soong Badminton Academy was well represented at the World Junior Coaching Conference in Markham during the World Junior badminton Championships with four (4) of our coaches attending. 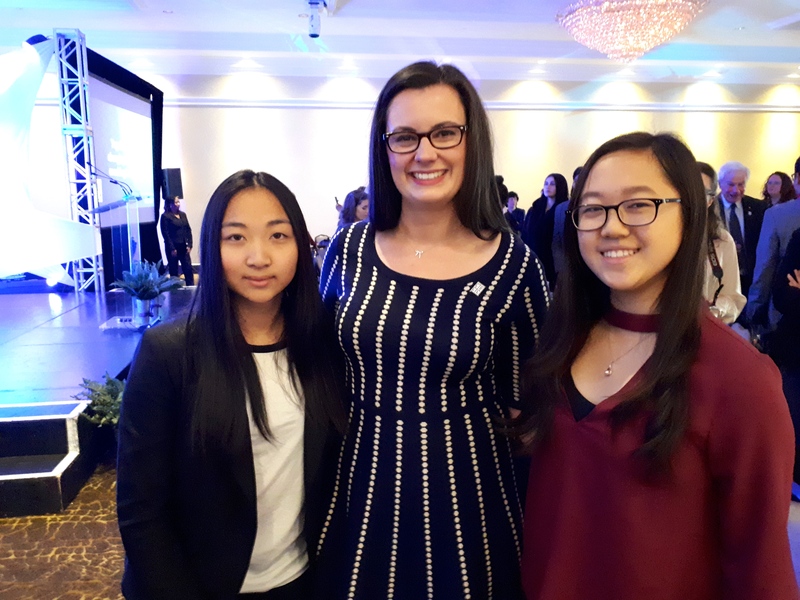 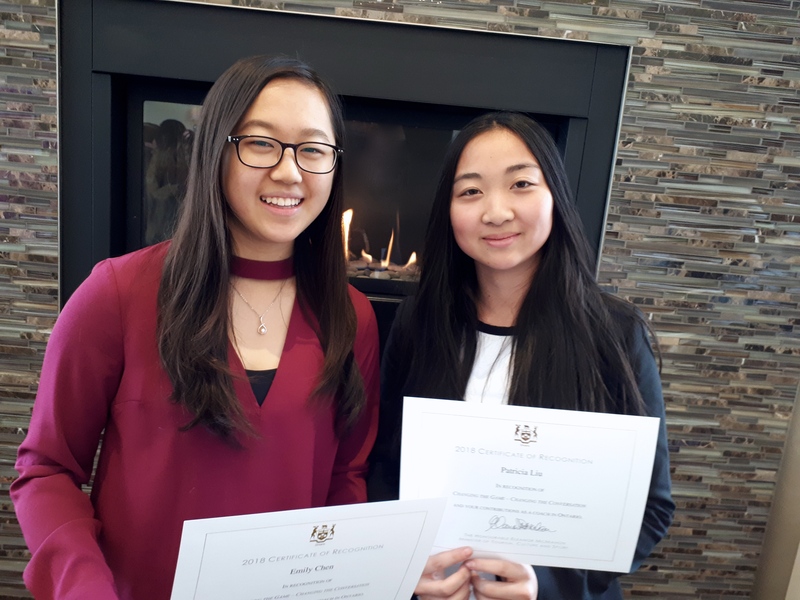 Emily Chen, Kailey Chen and Xinyan Lin, (currently being mentored by SBA's Janet Hugli in the CAO's Changing the Game/Changing the Conversation leadership development program) attended both the coaching conference, and the Women in Coaching leadership development sessions. SBA's Victor Liang (NCCP Provincial Certified Coach) attended the coaching conference and player development clinics. 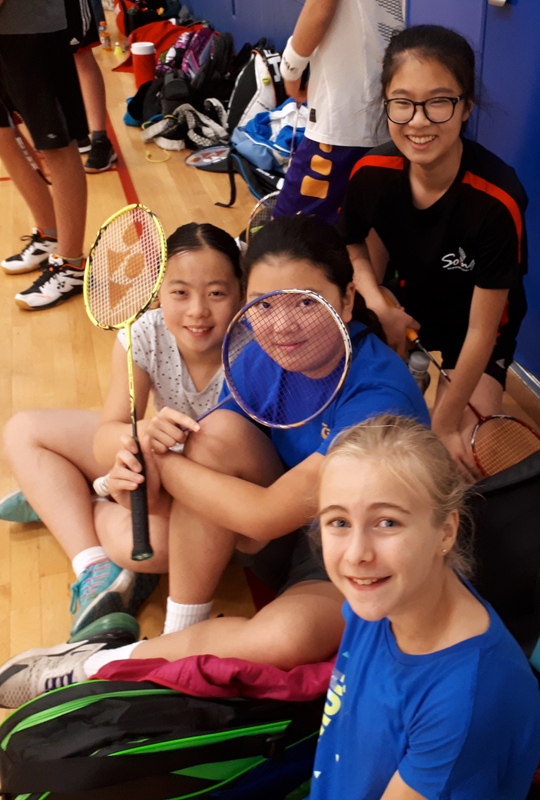 The coaches attended briefing and training sessions with world class coaches and international sport leaders, and have returned with many new great training ideas to share with our SBA players. Soong Badminton Academy coaches were saluted by Badminton Canada Director Kevin Willington July 20, 2018 and awarded with Coaching Association of Canada certificates for completion of full NCCP Regional certifications in the new NCCP program. 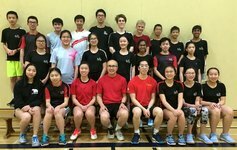 In addition to our NCCP Level 4 National coach (Dominic Soong), NCCP Level 3 Provincial Competition Development coach (Janet Hugli), and three (3) NCCP Provincial Coaches (Austin Gaigg, Victor Liang, Vivian Pham), the Soong Badminton Academy also currently has thirteen (13) fully certified Regional coaches. 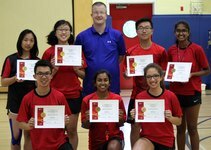 Pictured are Regional NCCP certified Coaches: Patricia Liu, Jessica Le, Justin Zhang, Madusha Gamage, Henry Chen, Dulini Rathnasooriya, Lindsey Esnard. A salute to all of our coaches, for helping to raise the overall quality of badminton play from beginner to top competitive level play. 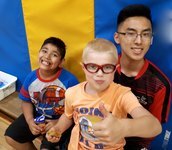 The 2018 "Changing the Game, Changing the Conversation" coach mentoring program kicked off in early June 2018. 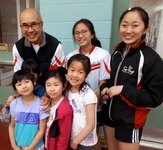 This is the second year that the Soong Badminton Academy has participated in the signature program of the Coaches Association of Ontario as an initiative to recruit and develop new female coaches, and to change public perceptions about who can coach. 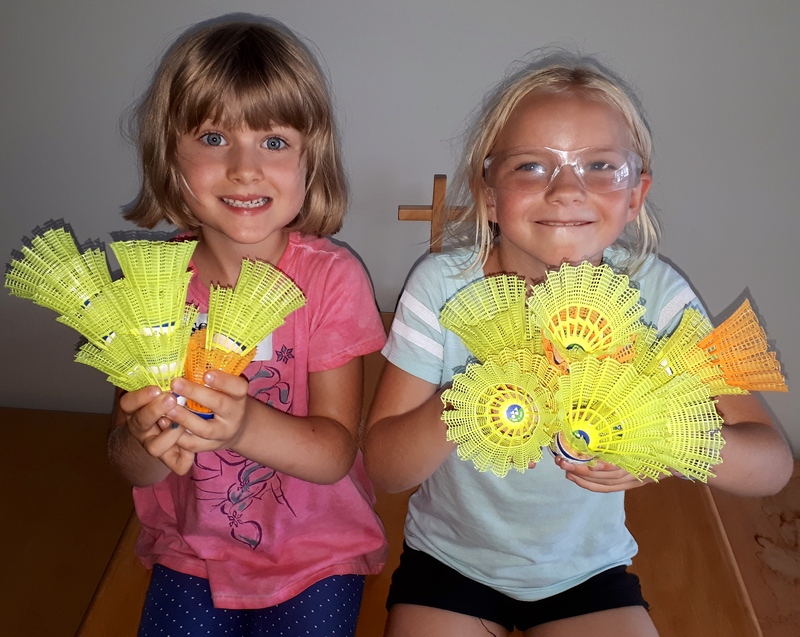 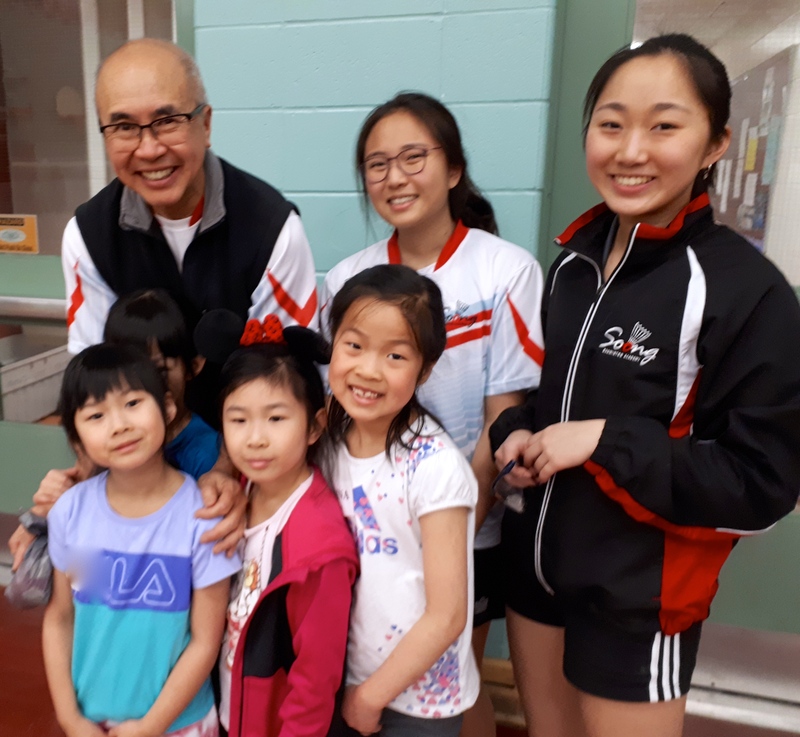 Three (3) members of the Soong Badminton Academy were selected by the CAO to participate and to help grow the number of female coaches involved in sport. 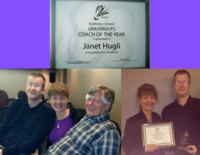 Janet Hugli was selected for a second year to continue as a mentor. Kailey Chen and Xinyan Lin were selected as new apprentice coaches. 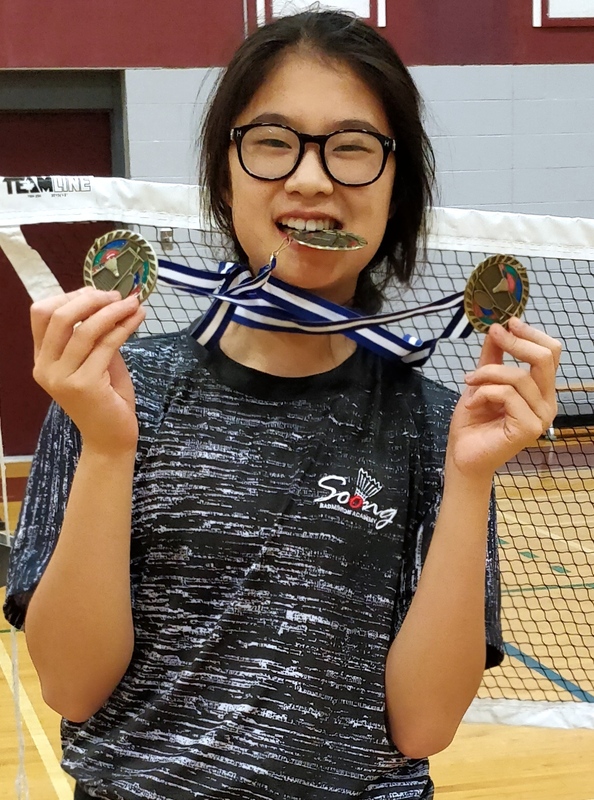 Emily Chen was selected to continue for her second year. 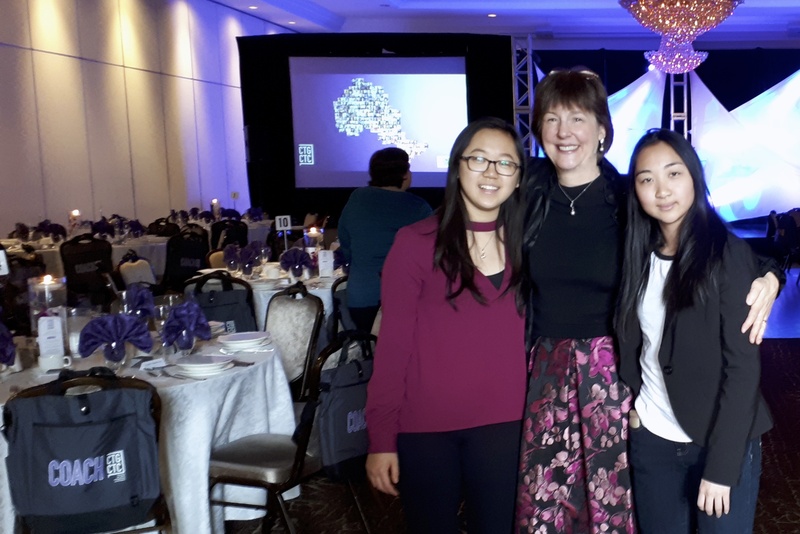 Soong Badminton Academy coach mentor Janet Hugli, and coach apprentices Emily Chen and Patricia Liu joined the CTG celebration gala at the Pearson Convention Centre in Toronto with other mentors and apprentice coaches from across Ontario, and across all sports. 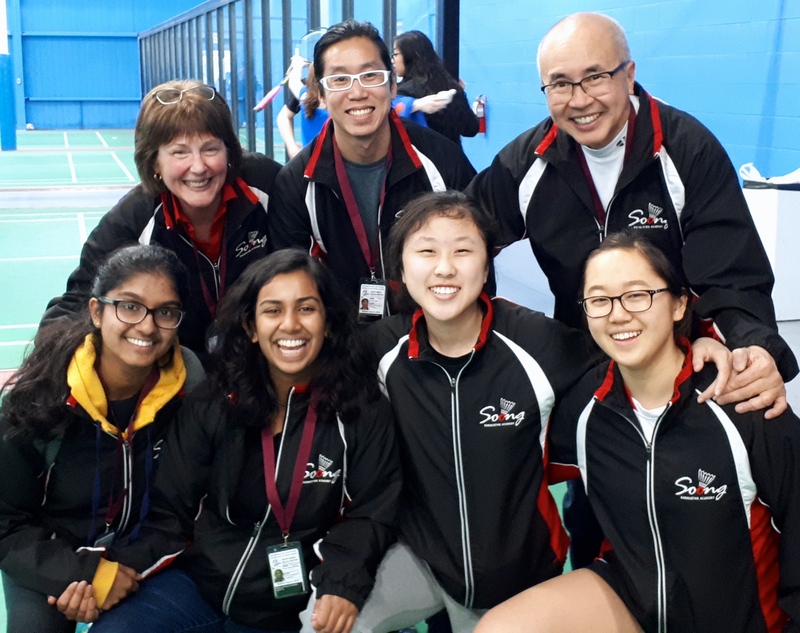 The event was hosted by the Honorable Lieutenant Governor of Ontario – Elizabeth Dowdeswell, and the Coaches Association of Ontario. 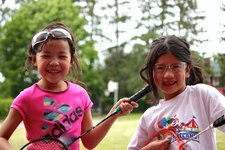 The CAO, with funding from Ontario 150, launched Changing the Game (CTG) in 2017. 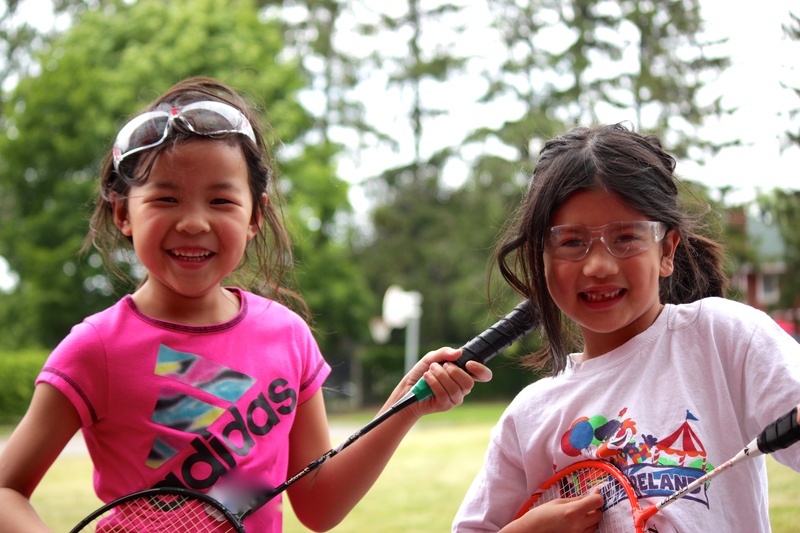 CTG successfully recruited more than 250 new female coaches into over 50 different sports across Ontario. 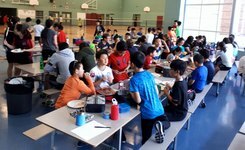 "Changing the Game – Changing the Conversation" is a signature initiative of the Ontario150 program. 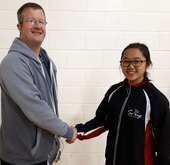 Congratulations to Emily Chen who has completed the full requirements for the NCCP Regional Coaching Certification program. 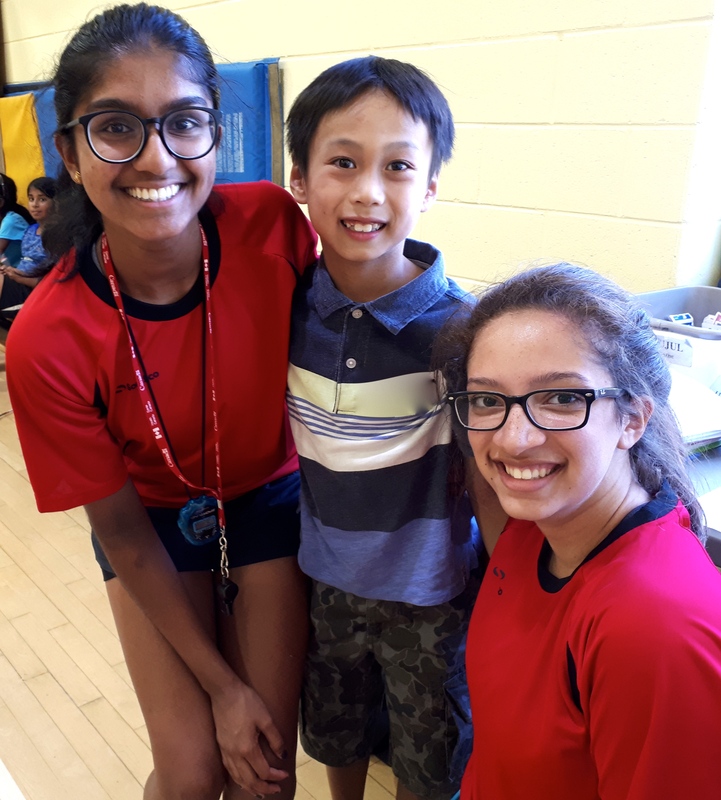 Emily is also a participant in the Coaching Association of Ontario “Changing the Game” program, and a team captain of the SBA competitive team. 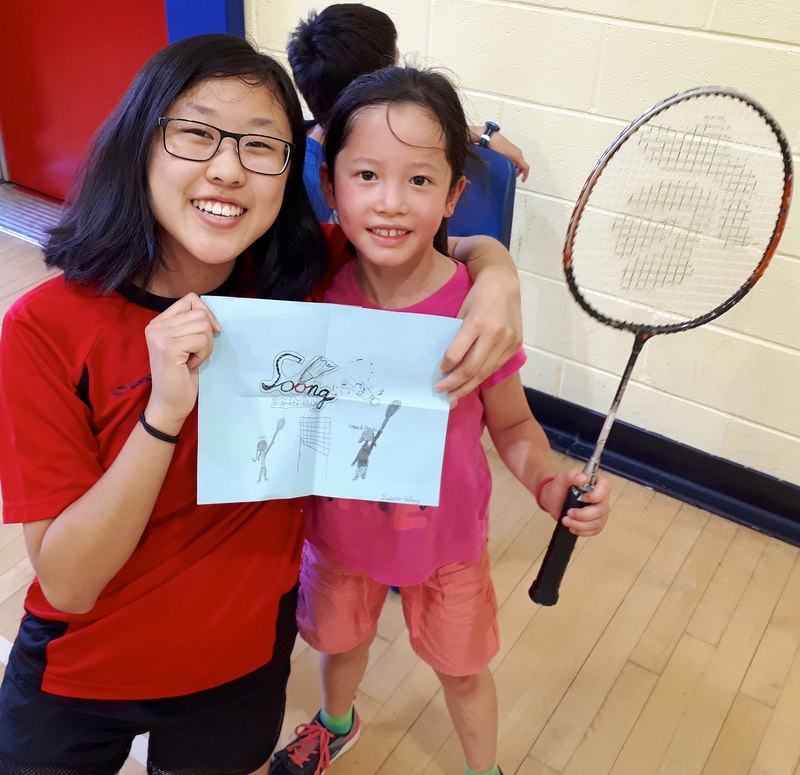 We look forward to continuing to work with Emily as she supports the development of badminton in the region. 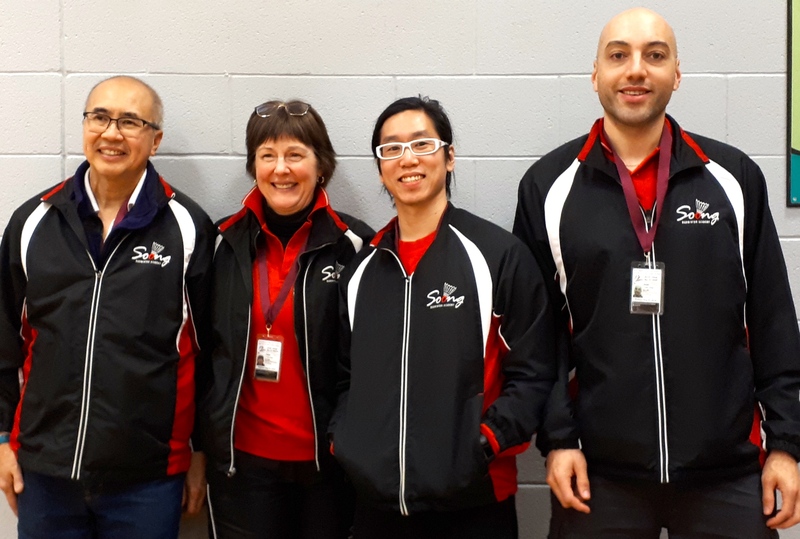 Nine (9) Ottawa area coaches "In training", representing six (6) different ODBA clubs, completed the launch of the NCCP Shuttletime training in Ontario for the Instructional Stream. 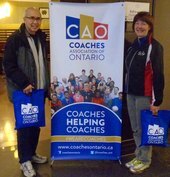 March 30-April 2 marked the 2017 Ontario Coaching Conference in Hamilton. 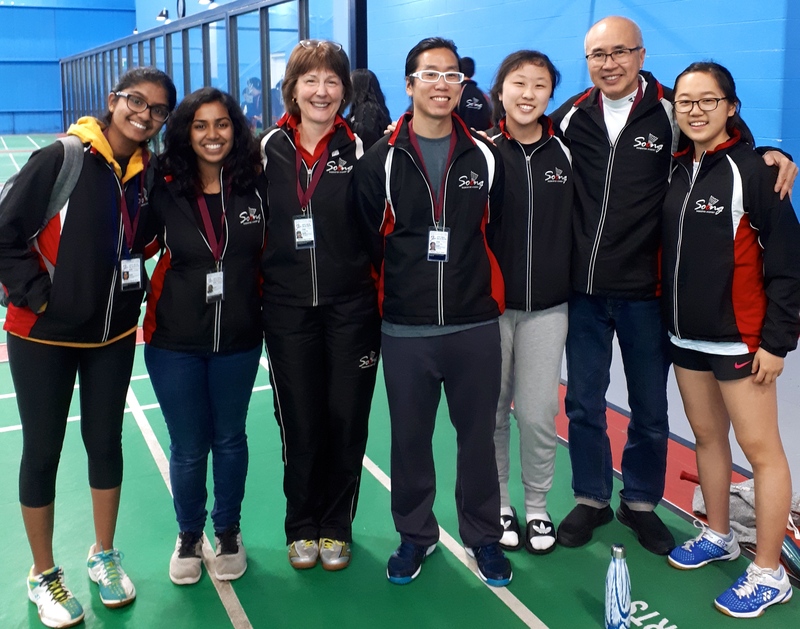 SBA coaching leaders Dominic Soong and Janet Hugli joined over 300 other coaches from across Ontario, and across all sports for an inspirational weekend of professional development with sport experts from all sport coaching fields. 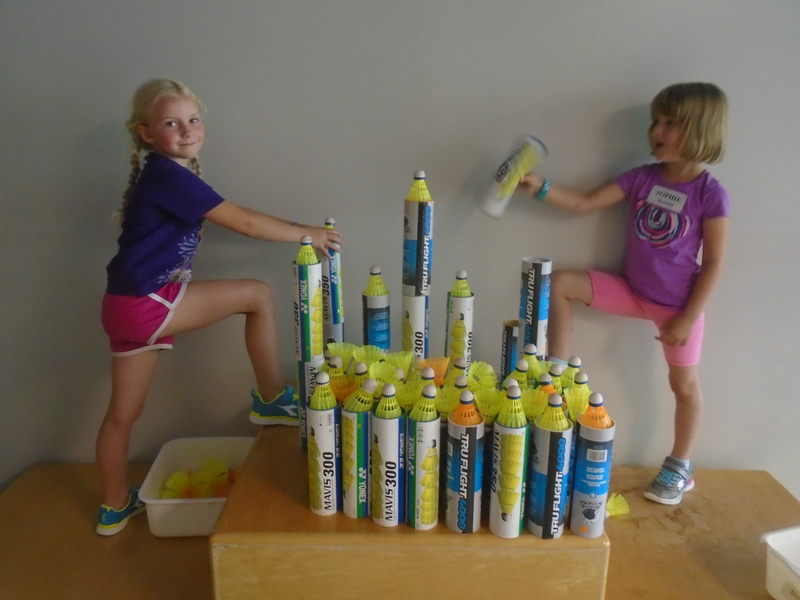 The weekend themes included: Unlocking the Secrets to Playing, Training, Winning. Highlights of the conference will be shared among the full team of SBA coaches to help prepare for the spring and summer training programs. 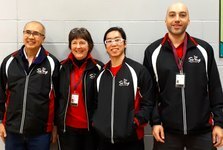 All three (3) coaches have been active supporting the SBA training programs across the Ottawa region, as well as organizing and hosting our SBA regional tournament events. 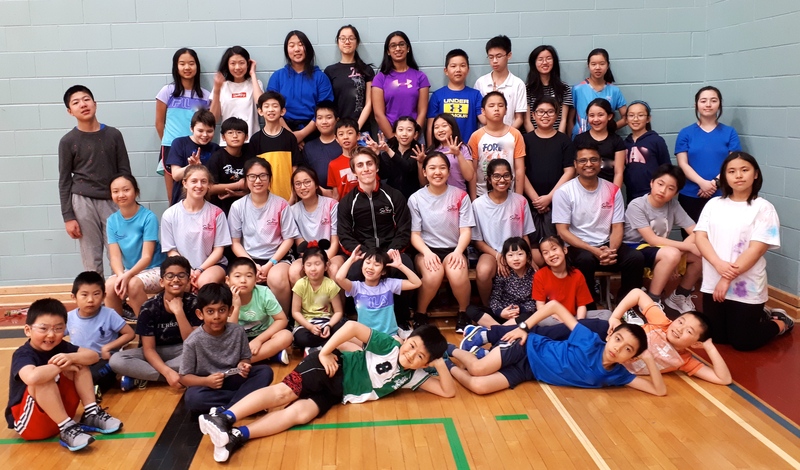 Congratulations to our Soong Badminton Academy coach Devon Hamilton who was invited by Badminton Ontario to represent the ODBA (Ottawa District Badminton Association) at the 2016 Ontario Summer Games held in Mississauga, August 12–14. Devon was further recognized at the Games by being named the "Official of the Games" which was voted on by the players, managers, and coaches of the seven (7) Districts across Ontario. 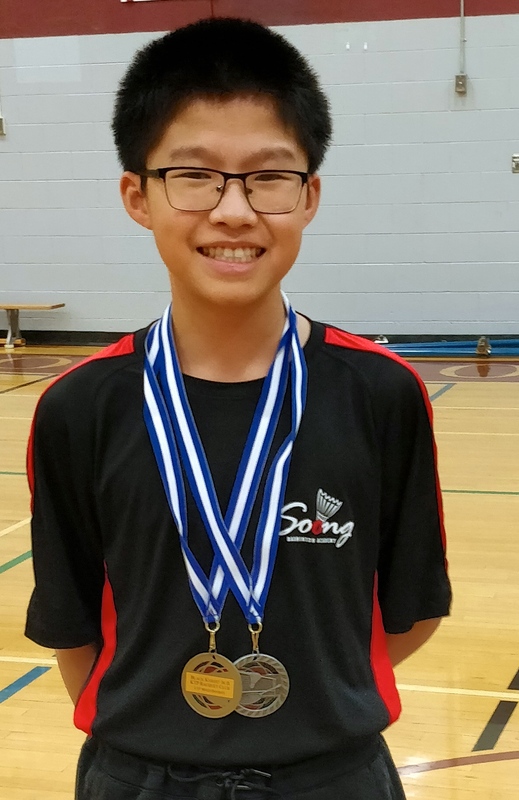 We would like to extend a big salute to Devon for this success which was earned at his first official event. 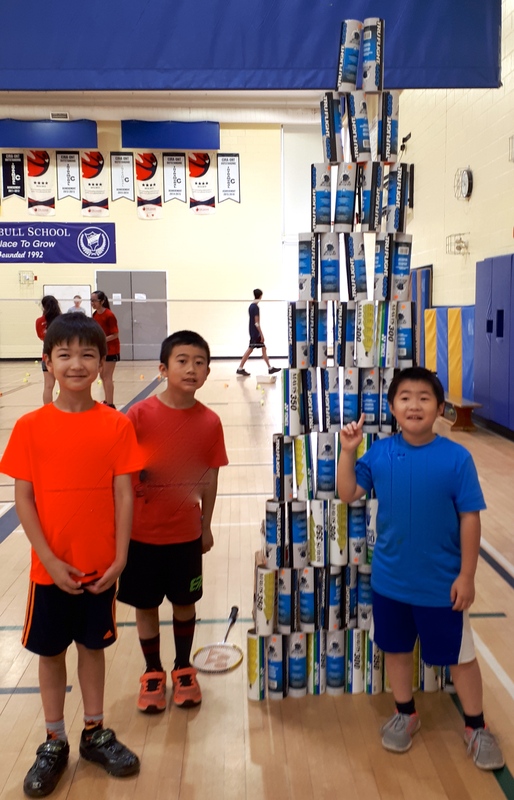 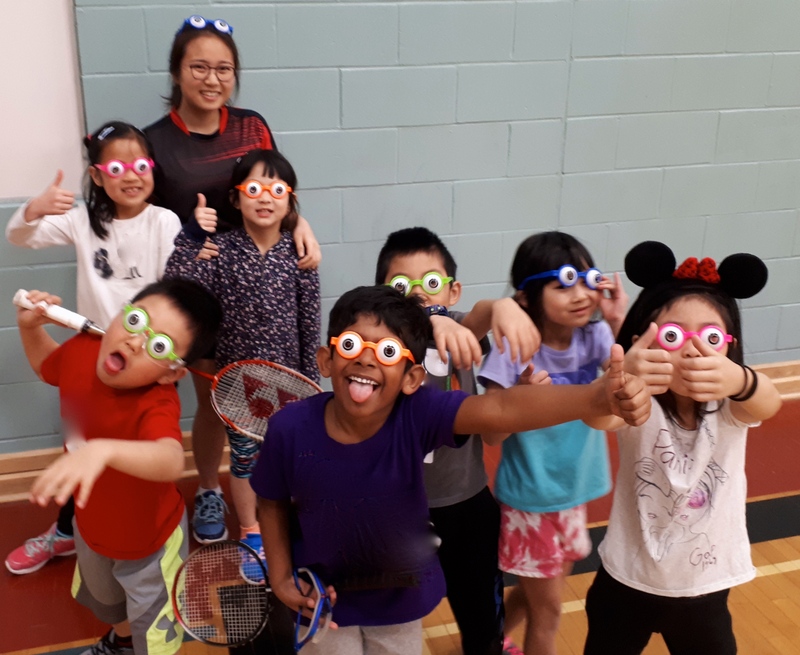 The Soong Badminton Academy continues its commitment to the development and delivery of high quality recreation and sport programs by becoming a Registered Organization with HIGH FIVE® Ontario. HIGH FIVE® is a national organization, supporting organizations across Canada in delivering positive learning experiences to children in recreation and sport programs. 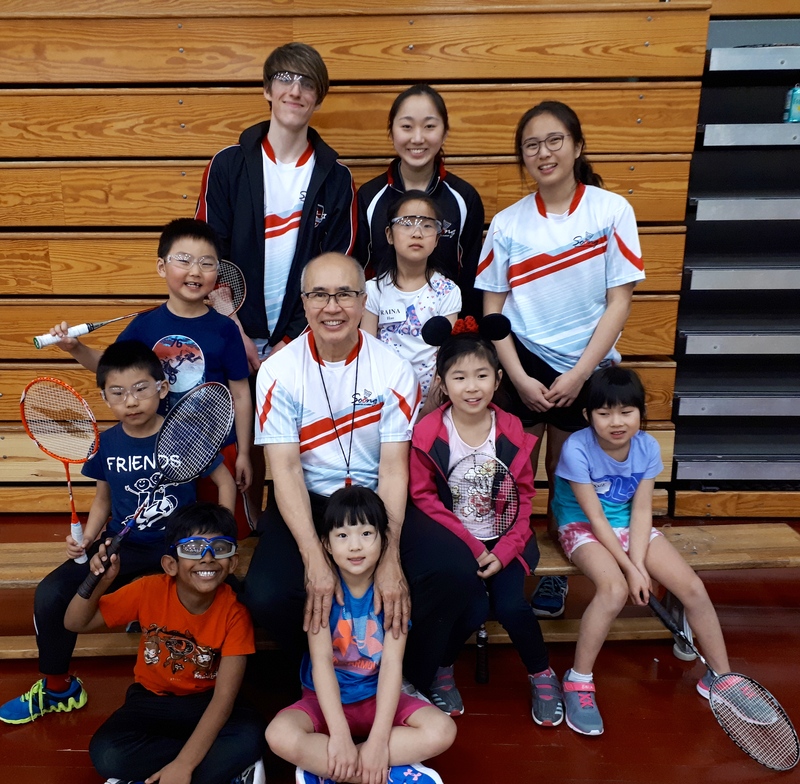 The Soong Badminton Academy has consistently received high evaluation scores for the delivery of training excellence, and is continuing to roll out the High Five training for both our coaches and volunteer leaders. HIGH FIVE® learning facilitator Kimberley Steven trained eight (8) of our SBA coaching leaders in the application of the principles of HIGH FIVE® for sport at Ashbury College on August 24. Congratulations to SBA’s coaches: Chinue De la Merced, Giulian De la Merced, Madusha Gamage, Devon Hamilton, Vivian Pham, Dulini Rathnasooriya, , Nicolas Tse, and Justin Zhang, for completing the High Five course in preparation to continue delivery of high quality sport programming for badminton. 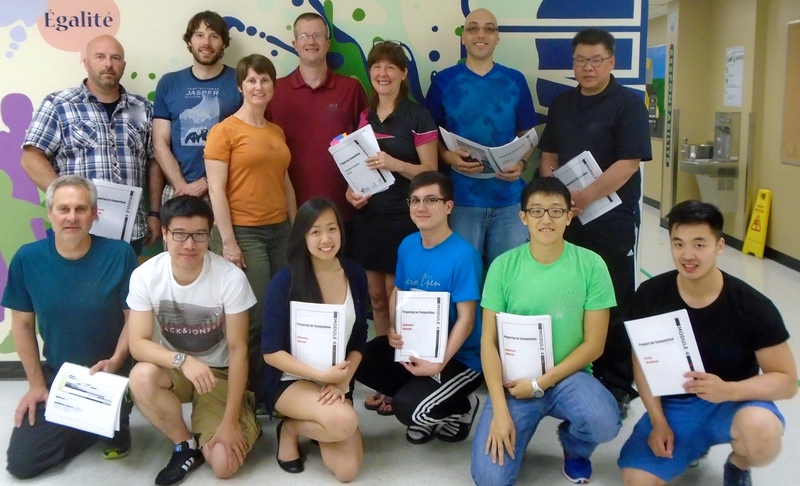 A salute to our SBA coaches who successfully completed the courses: Austin Gaigg, Devon Hamilton, Vivian Pham. 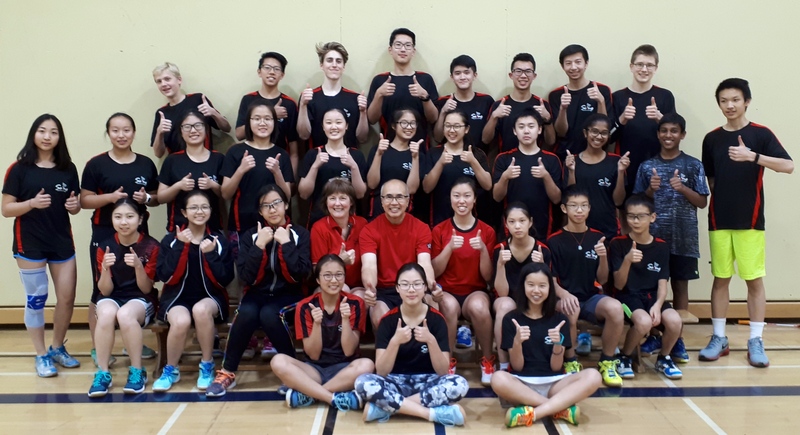 Coaches are now fully "trained" at the provincial level and will now use their new learning, to develop, implement and evaluate annual training plans targeted for the development of competitive players to earn their full "certified" provincial status. 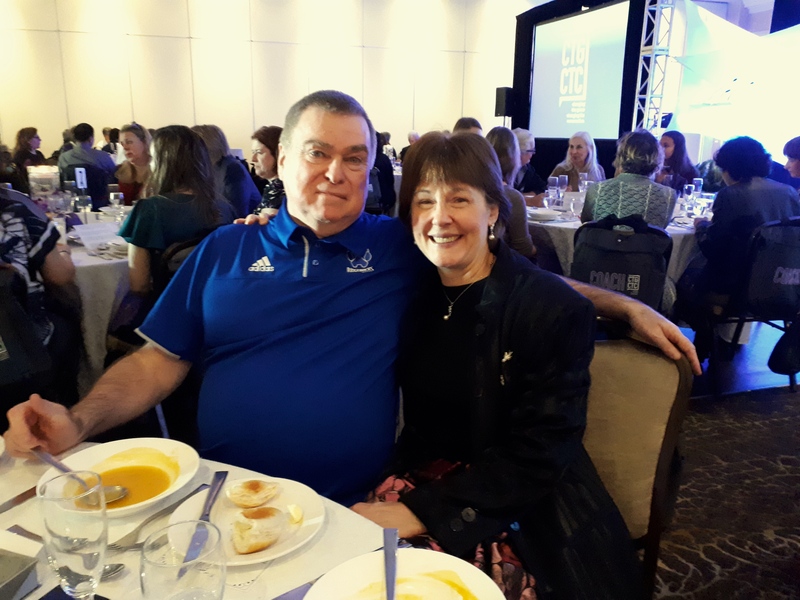 Two (2) members of the SBA coaching leadership team attended the annual coaching conference in Niagara Falls during the weekend of February 20-22. 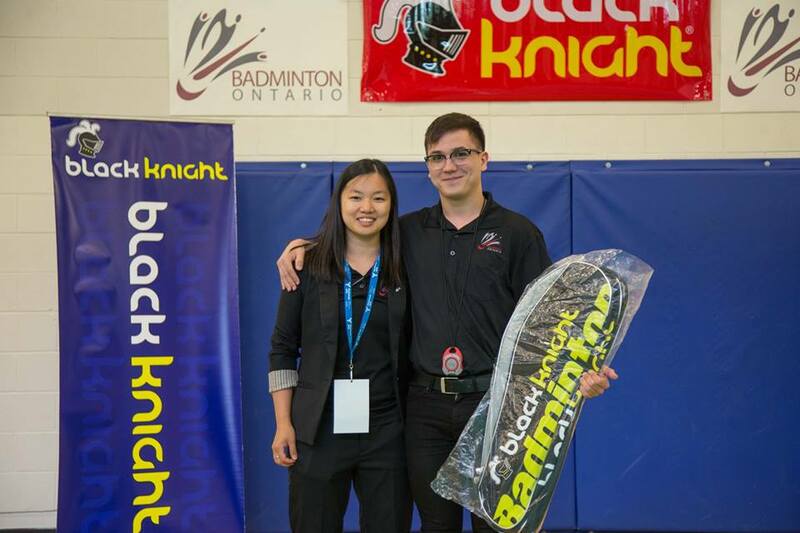 Dominic Soong and Janet Hugli represented badminton, and shared time and information with other provincial NCCP coaches and sport leaders from all sports across Ontario. 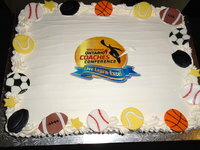 The event was hosted by the CAO (Coaches Association of Ontario), and supported by the Ontario Ministry of Sport and Tourism. The Soong Badminton Academy continues to lead the way in coaching development. 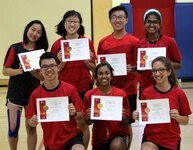 Five (5) new Soong Badminton Academy leaders completed Module 3 (Technical/Tactical) training – January 10, 2016. Congratulations to our new SBA coaches: Dinu Heiyantuduwa, Elina Ma, Dulini Rathnasooryia, Molan Ren, Kejie Zhang. Janet Hugli (NCCP Coach Developer) co-facilitated the training. Module #1 – Planning a Practice: Five (5) SBA "Coaches in Training" completed Module 1 on February 10th, 2016. 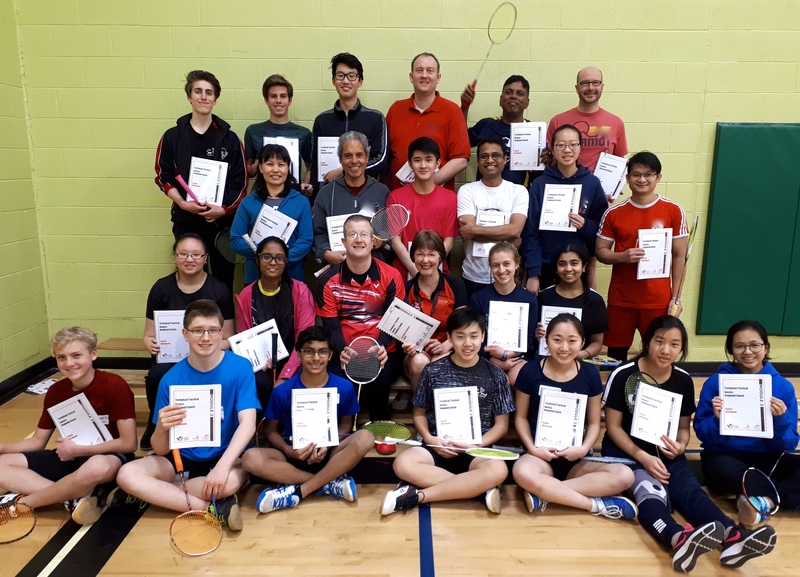 Congratulations to our SBA coaches completing the course: Dinu Heiyantuduwa, Dulini Rathnasooryia, Felix Wong, Molan Ren, Keiji Zhang. 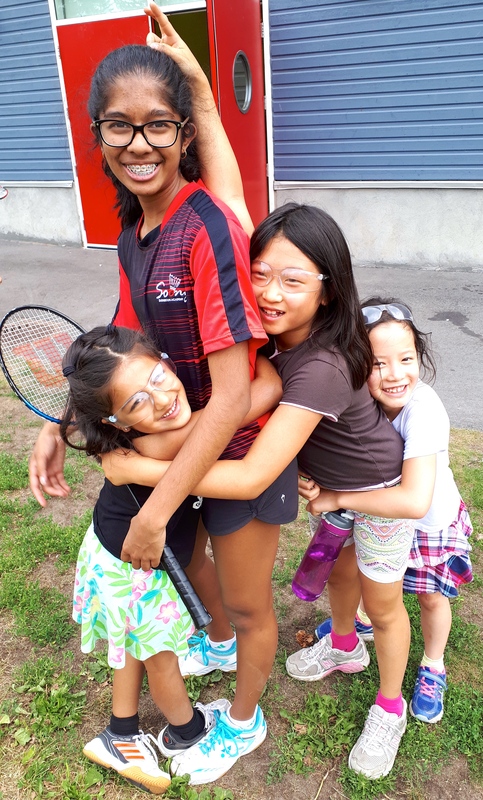 Additional training opportunities for Modules 1, 2, 3, (Competition Introduction) will be scheduled for Ottawa for the end of June. 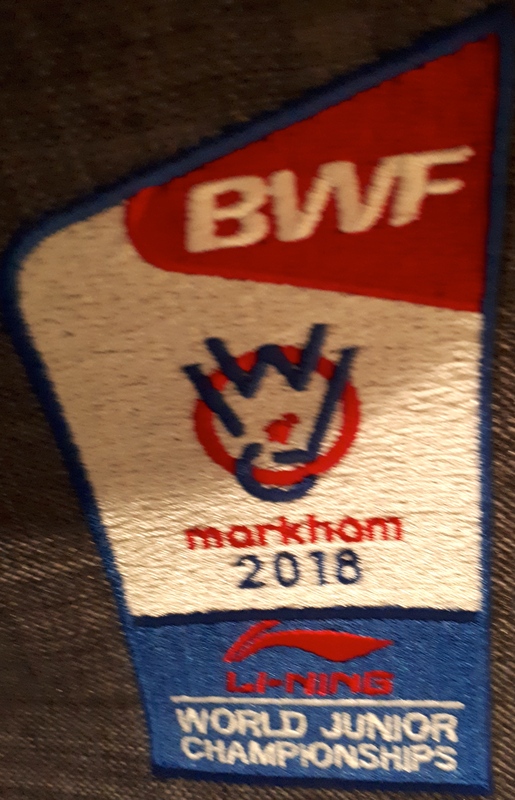 Check back for confirmed dates and details. 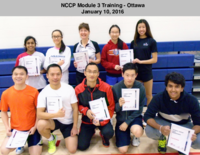 NCCP Modules #4 & #5 are scheduled in Ottawa for June 4 & June 5. 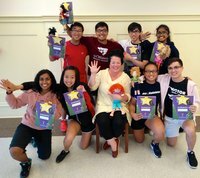 Learning Facilitators: Janet Hugli & Kevin Willington. 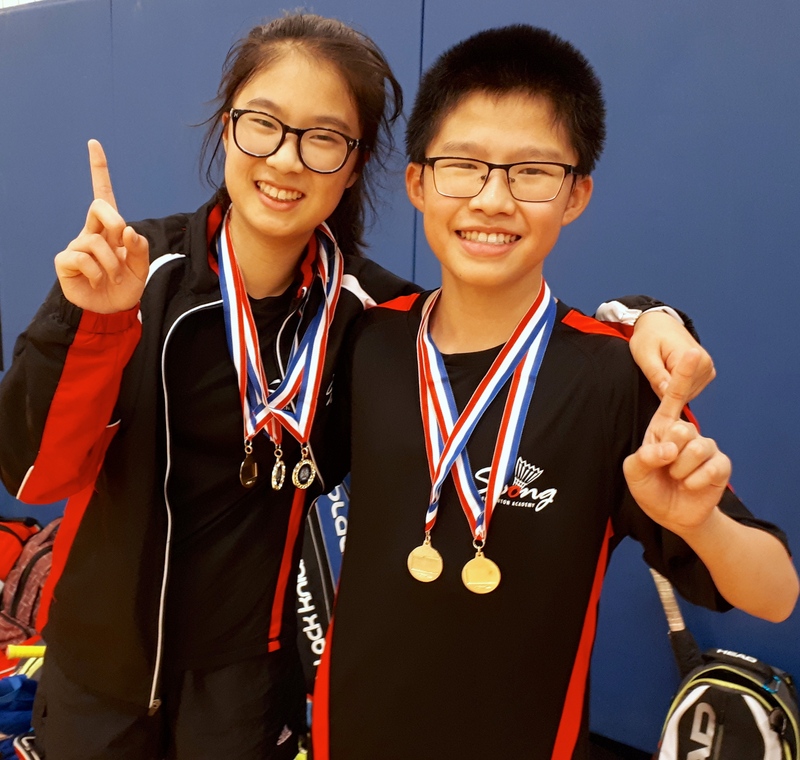 The Coaches Association of Ontario salutes Soong Badminton Academy (SBA) coaches: Dominic Soong and Devon Hamilton for their participation and success in the new mentorship program - Coaches Helping Coaches. 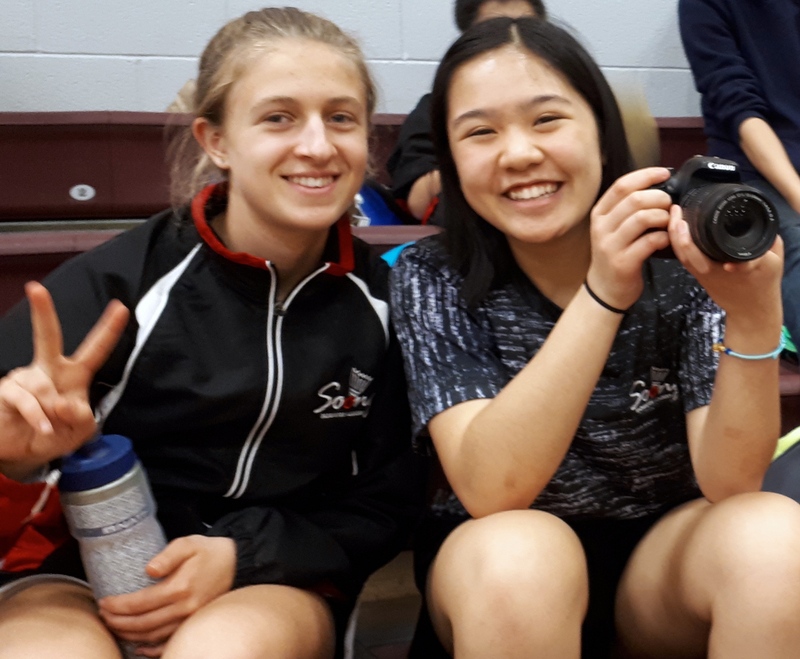 National Coaching Week....is a time to celebrate and thank coaches for the dedication and work each coach does to build sport, and make a positive contribution to athletes across Canada. 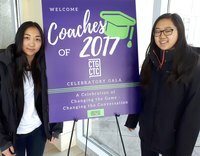 It is a time to salute coaches for the tremendous positive impact they have on athletes and on communities as a whole. 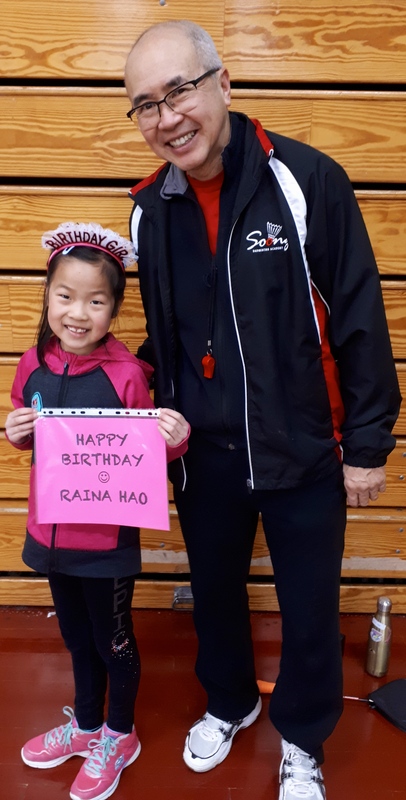 We encourage all players and parents to participate during the week, and during the season, and simply say THANKS COACH. The Soong Badminton Academy leads the Ottawa region in coaching expertise. 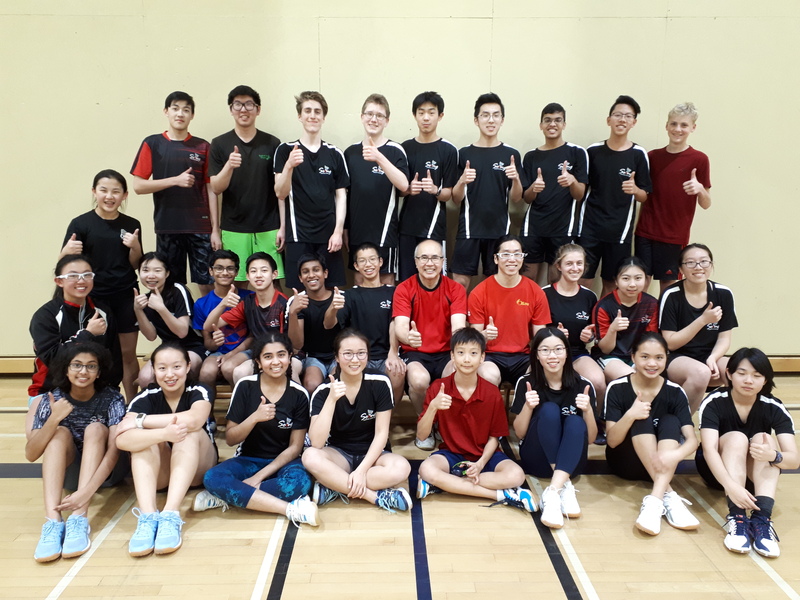 While at any one time, there are more than twenty (20) fully certified NCCP coaches on the SBA team, over one hundred coaches have been trained and mentored by the Soong Badminton Academy leadership team to help support and build player successes across the region. 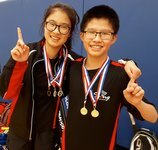 Two (2) of the Soong Badminton Academy leaders were recognized by Badminton Ontario at the Annual General Meeting 2015 held in Toronto. 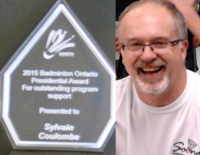 Sylvain Coulombe was selected for the Badminton Ontario President's Award for his tremendous work supporting the development of badminton in the Ottawa region, his leadership in hosting tournaments and mentoring future tournament hosts and coordinators, and for his work supporting the SBA competitive teams. 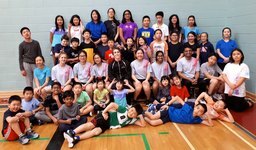 Janet Hugli was recognized as the Grassroots Coach of the Year for her work building badminton participation numbers and quality of their play by developing, organizing and promoting badminton programs, and by developing and mentoring new coaches. 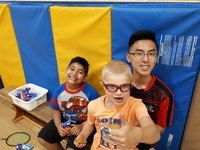 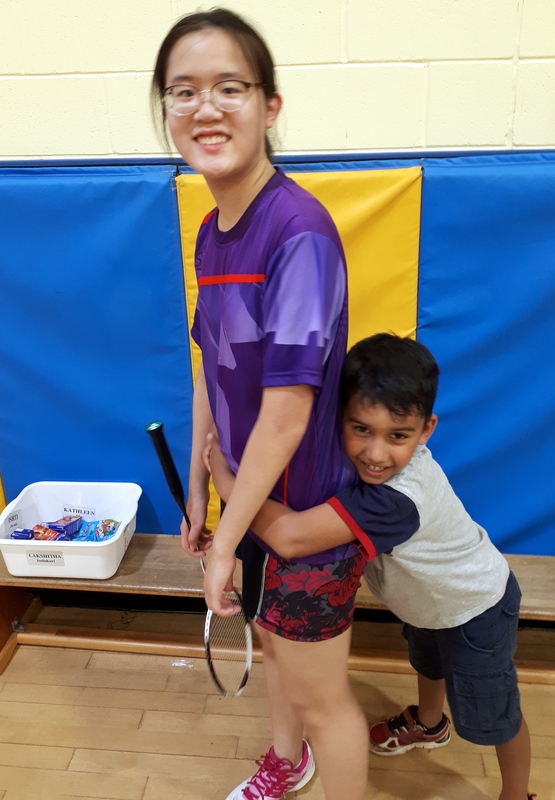 Coaches Association of Ontario – "Coaches Helping Coaches Program"
Congratulations to Dominic Soong and Devon Hamilton of the Soong Badminton Academy who have been selected as coaching mentor & coach trainee in the CAO’s new "Coaches Helping Coaches" program. 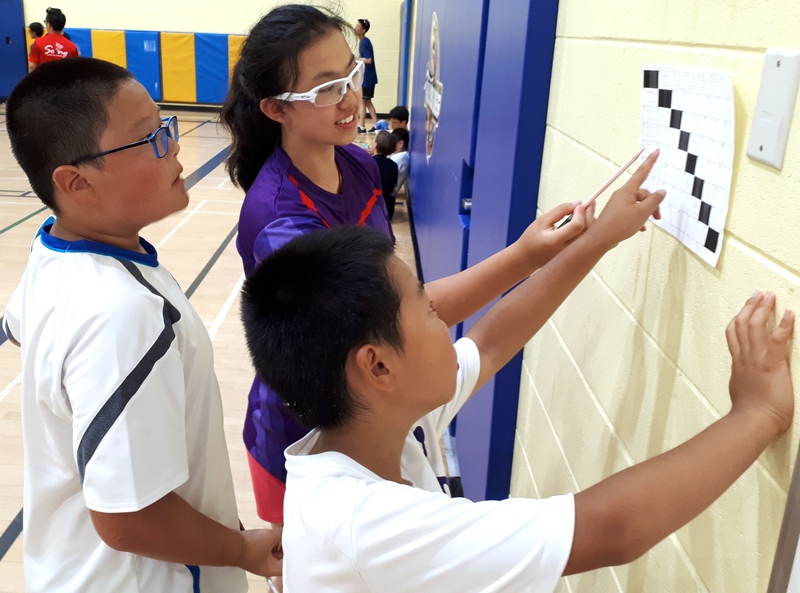 This new initiative, launched across Ontario, across all sports, matches aspiring coaches with experienced mentors to enhance the overall development of Ontario coaching expertise. 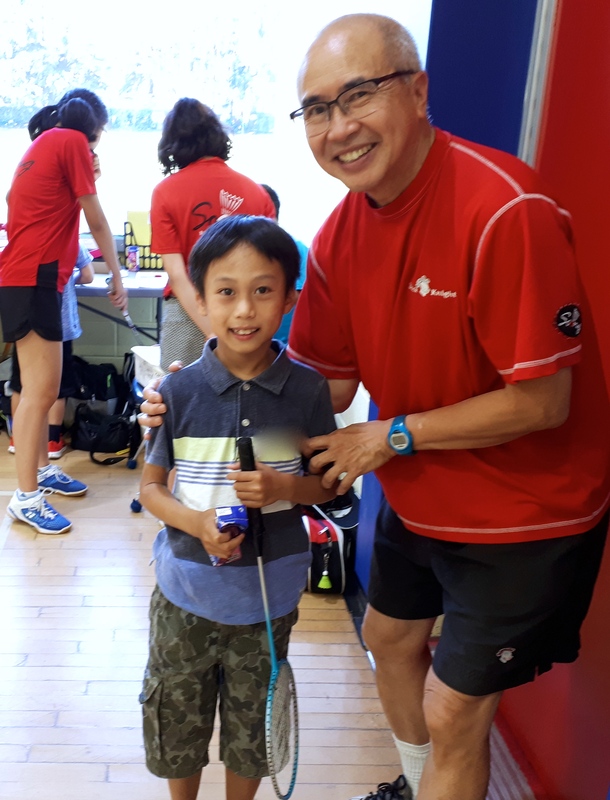 Dominic is the co-founder of the Soong Badminton Academy with 37+ years of coaching experience in Canada from grass roots to international levels. 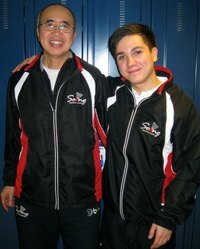 Devon is a member of the new SBA competitive boys’ team, and an aspiring teacher. 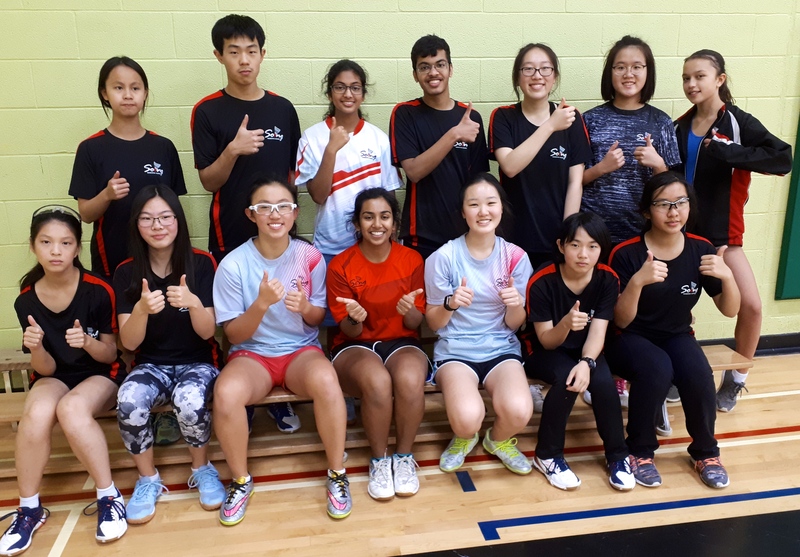 Eighteen members of the SBA leadership team, including members from the competitive girls’ team completed the National Parks & Recreation “High Five” program – great work team. 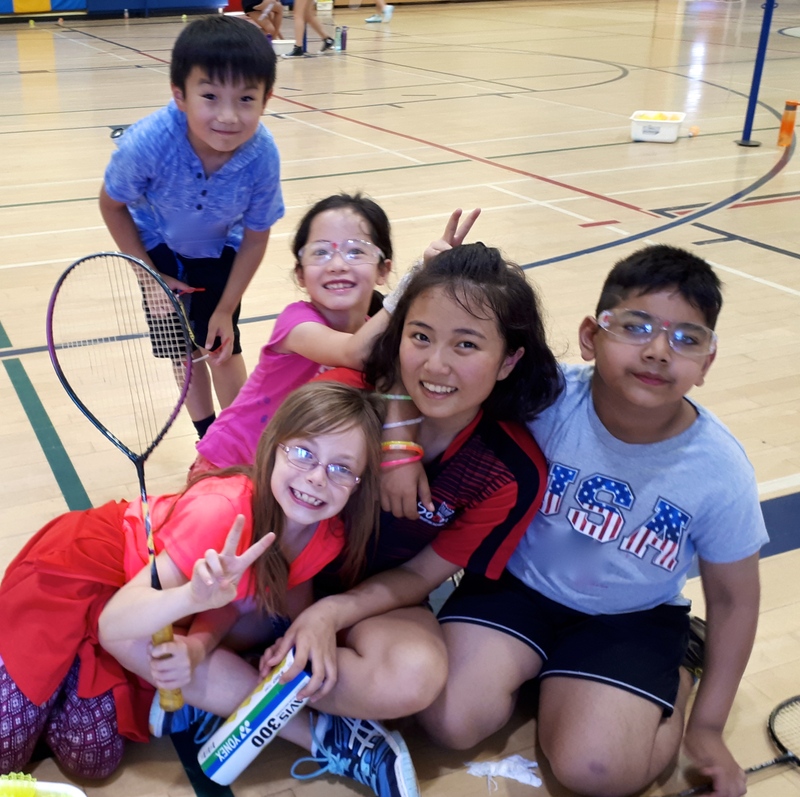 Our SBA leadership team members look forward to welcoming your children to the courts in a supportive learning environment.